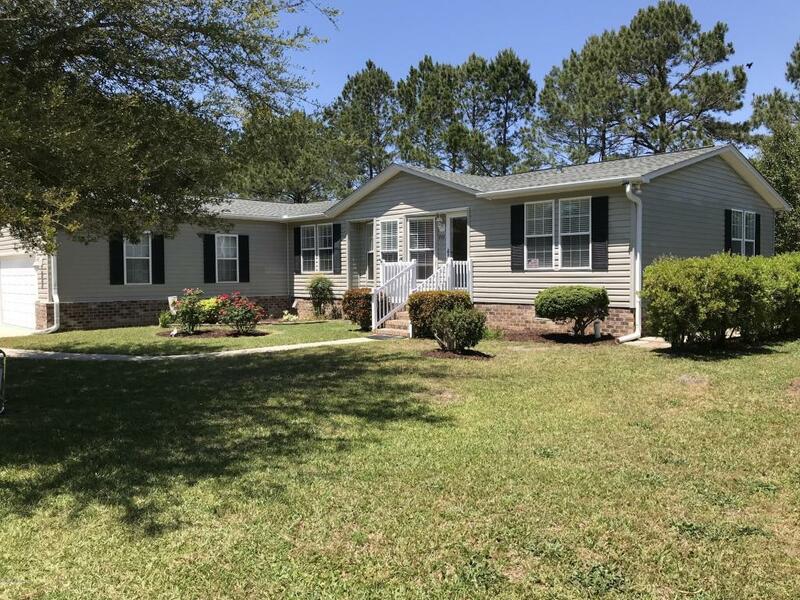 Lovingly cared for, this 2000 R-Anell double wide manufactured home, on a deeded lot in The Village at Calabash has 3BDR/2BA, along with an attached garage. Used as a second home, there is over 1900+/-HTSQFT, with a Carolina Room, utility room, oversized kitchen with a center work island, plenty of cabinets and counter space, all appliances convey, recessed lighting, hardwood floors, skylights, chair rail and crown molding, TV- Media Room, split floor plan, landscaped yard, outside shower, public water, sewer, and low POA fees! New roof and HVAC in 2017. There is also a community swimming pool and clubhouse and just a short drive to local beaches and restaurants. There are so many little things you will love about this home, so call today and start enjoying the coastal Carolinas tomorrow!